The Resmed F10 Full Face Mask is the newest of the full face mask series offering a new, more comfortable fit with easier to adjust options. This article (with attached video below) will detail just how quick and easy it is to work with the F10. 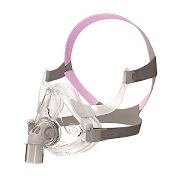 ResMed's AirFit F10 full face mask is part of ResMed's AirFit range - the right fit for you. Its lightweight, streamlined design enhances comfort and ease-of-use, while its headgear and frame work in synergy, to deliver the same performance and stability you have grown to trust in a ResMed traditional full face mask. A recent Resmed study showed that the majority of patients could be set up and fitted with AirFit F10 in under two minutes. 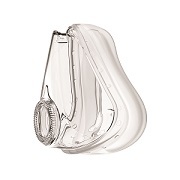 * Thanks to its built-in simplicity and four-part design, the mask is also easier for patients to use - helping to reduce call backs and save time. You can be sure AirFit F10 is the right fit for your business. *ResMed internal study of existing ResMed patients, conducted between July 25 and September 4, 2014 comparing their ResMed traditional full face mask with AirFit F10. Cushion-to-frame connection makes attaching the cushion to the robust frame easy. Quick-release elbow with side buttons for fast detachment. Ehanced Spring frame is lightweight and designed for stability, while offering unrestricted vision. Dual Wall Spring Air cushion provides a comfortable, high-performance seal. 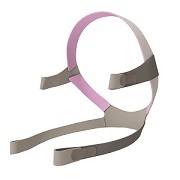 SoftEdge headgear is gentle on the skin and features premium rolled-edge fabric for reduced facial marking. Optional soft sleeves enhance comfort at the cheeks.